In a European Commission (EC) initiated conference on ‘Evaluation in hard-to-each areas’, Hur Husnanin, Impact, Results and Learning Manager at YCare International presented a well-researched report on gathering, analyzing and disseminating evaluative evidence on project impact generated by using mobile phones and tablets in rural settings. 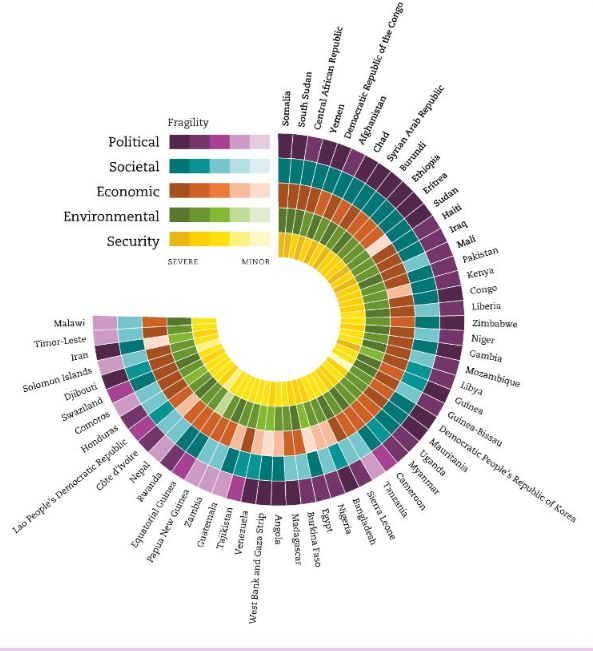 This evidence was gathered in some of the most hard-to-reach areas of under-developed and conflict-affected countries using innovative methodologies to conduct evaluations. As Pakistan is ranked among countries of Fragility Conflict and Violence (FCV) in the Organization for Economic Co-operation and Development (OECD) Fragility Framework of 2018, Hur shared some of his findings from his visit to Pakistan as well. He talked about his experience of using mobile based technology for assessment of one of YCare and CWSA’s livelihoods project that focused on Economic Empowerment. Hur’s use of the Sprockler application and assessment methodology which lead to successful evaluation results was explained in detail in his presentation. He explained how Sprockler’s online tools helped him develop an interactive and user-friendly report to show the project’s impact. 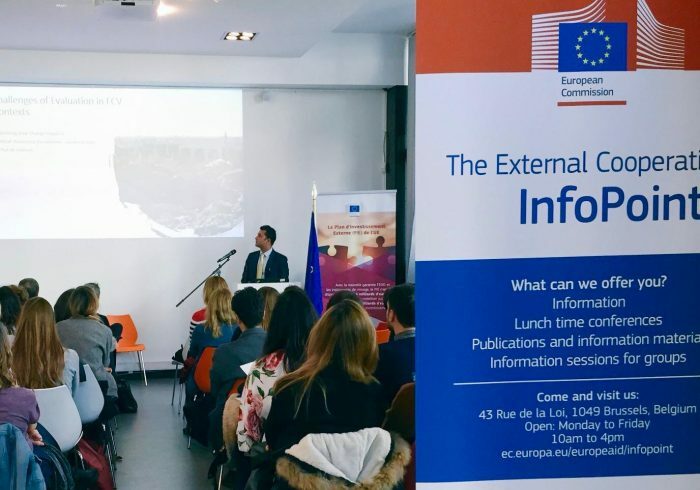 The application’s bi-pole and tri-pole question structure and visualization of the story element was presented to the audience at the seminar. Hur explained the implementation of the Frontline line SMS software as a participatory monitoring mechanism applied as an innovative experiment in the livelihoods project. The IEC material specially developed for the mechanism (translated into local language, Sindhi) was also displaced along with some quotes of community members who used the Frontline SMS system as part of the monitoring process. This proved to be a very successful monitoring activity. It was a transparent and open opportunity for the participants either to validate their sharing or clarify it if it was misunderstood. proper closing of evaluation learning loop. 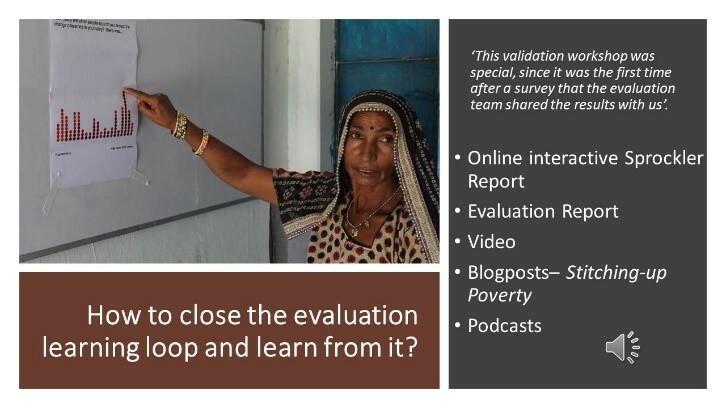 This has proved to be a successful model of verifying evaluation and monitoring results and we plan to utilize this for future project assessments as well. 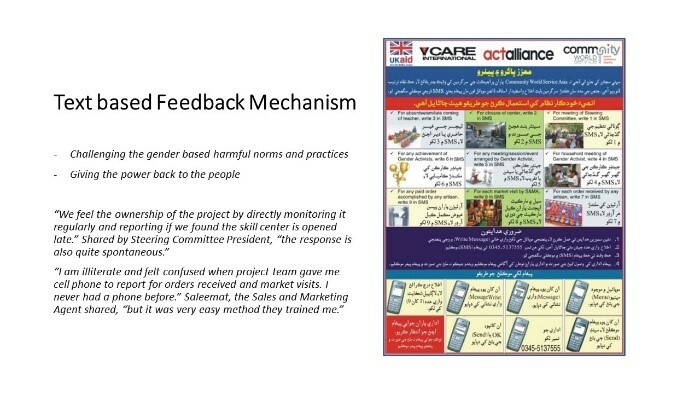 The livelihoods project titled “Increasing financial resilience and economic empowerment” in Umerkot is implemented by Community World Service Asia and supported by YCare International and UKAID. Sprockler is an innovative new storytelling research tool to make sense of what happens in organizations and communities.